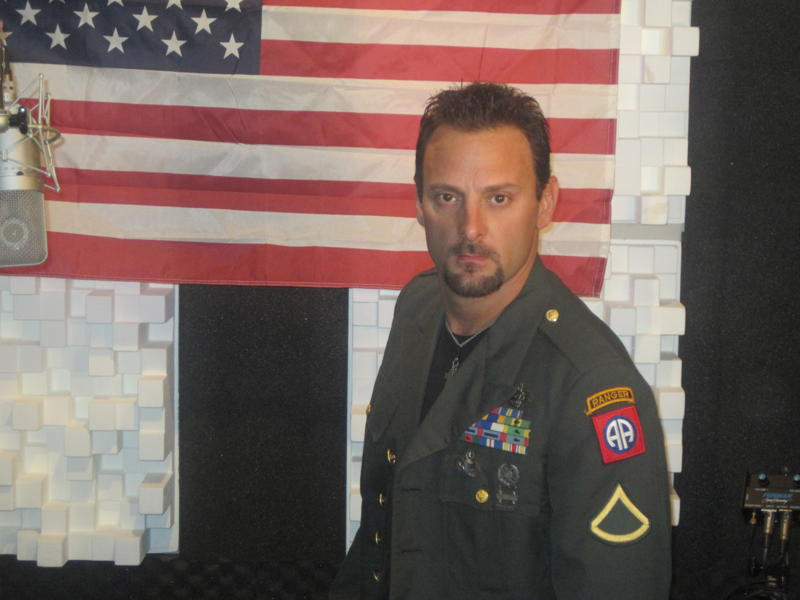 PHOTO CAPTION: Coldwater Canyon Band frontman Howie Vaughn proudly sporting his own military jacket during the filming of the band’s next video for the military tribute, “Peace Of Mind”. Rockin’ Los Angeles based Coldwater Canyon Band frontman Howie Vaughn drew from personal experience when recently filming the video for the band’s forthcoming single “Peace Of Mind,” a tribute to the courageous men and women who serve our country on their latest album Just Getting Started. 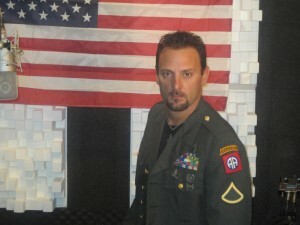 The video features Vaughn proudly sporting his own military jacket he wore while spending three years in the military, spending time in Operation Desert Storm as well as being stationed at Fort Dix in New Jersey, Fort Benning in Georgia and Fort Sam Houston in Texas. 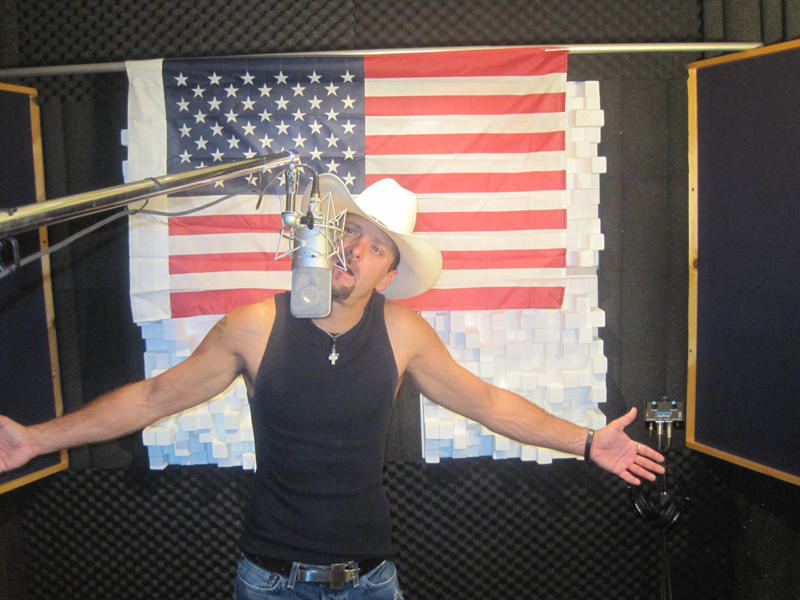 Vaughn penned “Peace Of Mind” after his time in the military and passionately believes what the servicemen, their families and even the war protesters need most is “Peace of Mind.” The track can be purchased online at Amazon.com and iTunes. The video is available for viewing on the band’s MySpace. AOL Music recently added “Peace Of Mind” to their “New Country First” show, giving fans a chance to listen to and rate the song, which will decide whether or not the song will be added into full rotation. Coldwater Canyon Band recently pledged to donate 50% of proceeds from the song to VeteranAid.org and will appear on the Veterans Day Virtual Telethon, which raises money for various veterans groups around the country, on November 6 at 2 p.m. Their 30-minute set will include “Peace of Mind” and their hit single “Nobody Knows”. Kountreeboyz Entertainment CEO Thomas Goodin will also appear. Vaughn’s unique hybrid has been a sensation at country radio since the release of Coldwater Canyon Band’s 2008 debut Rollin’. Their first single “Country Girls” rose to #15 on the Billboard Hot Singles Chart (indicating great crossover success). Coldwater Canyon Band has been stirring up the music scene since the release of Just Getting Started, with the lead-off single “Nobody Knows” climbing into the Top 30 of the Billboard Hot 100 Singles Sales Chart, without major label backing, and still sitting in the Top 40 after 24 weeks on the chart; and recent nomination in the Hollywood Music In Media Awards for Best Country Song. The track is also getting major airplay on outlets like Music Choice. PHOTO CAPTION: Coldwater Canyon Band frontman Howie Vaughn filming of the band’s next video for the military tribute, “Peace Of Mind”.